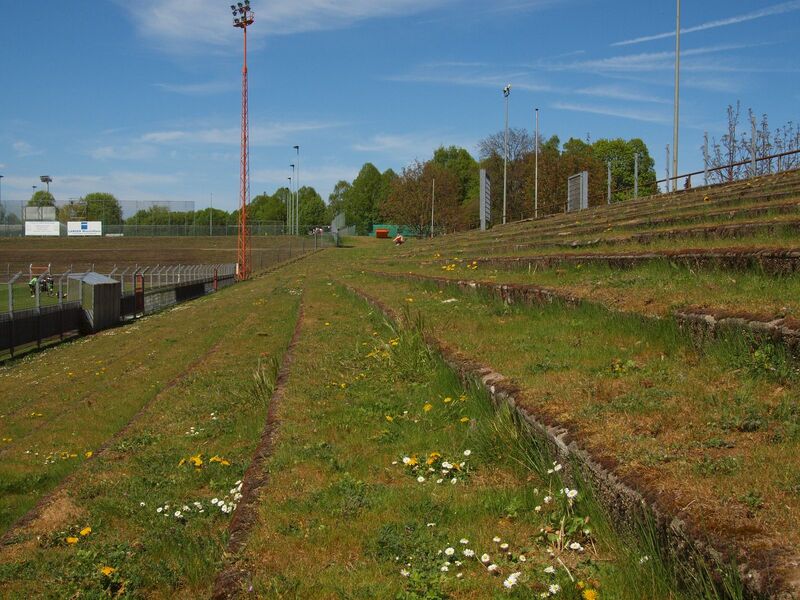 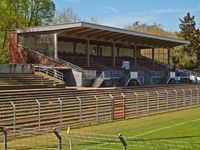 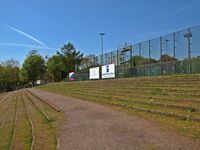 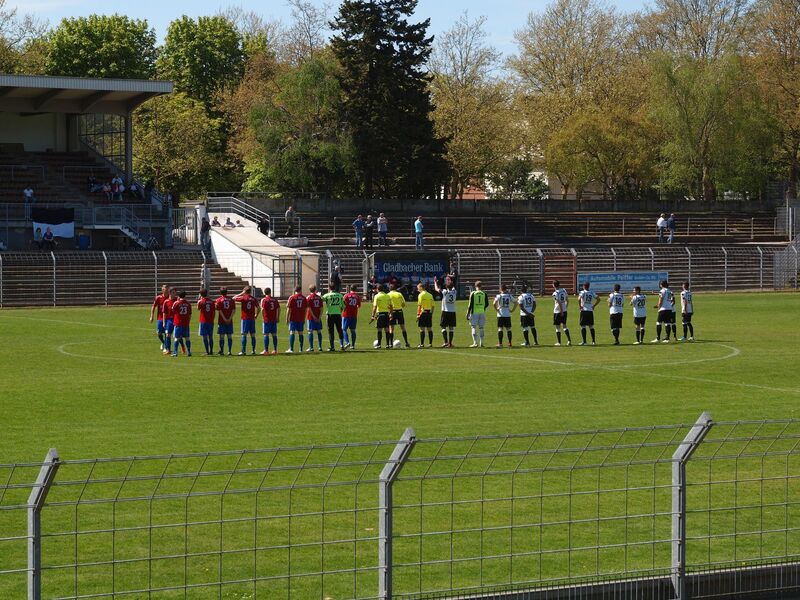 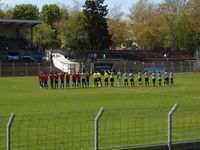 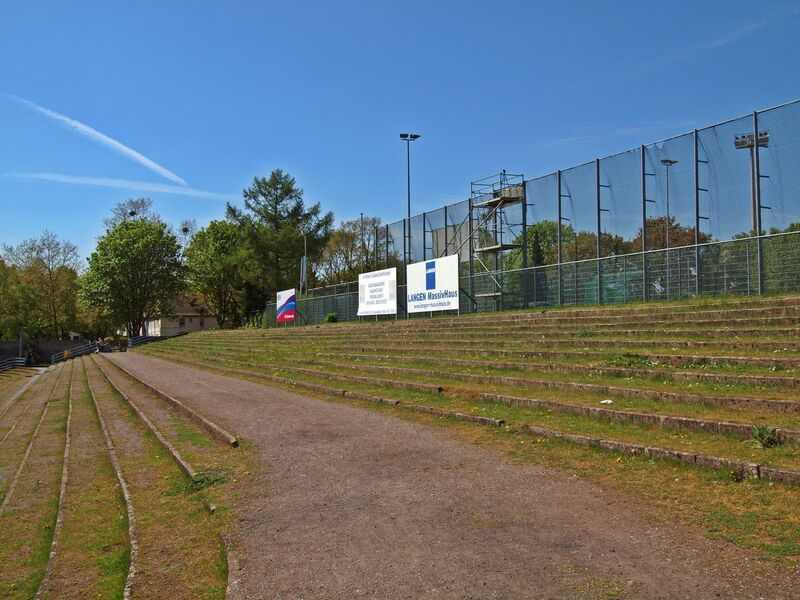 Nicknamed after local district club Rhyedter SV, this stadium dates back to 1922 and lies just meters away from Grenzenlandstadion. Almost all rows were created in a sunken bowl – a very cheap and time-efficient way of creating accommodation for fans back in the days. 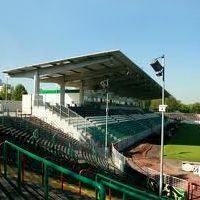 Since 1925 there is also the modest grandstand above western terrace, providing room for players under seated rows. 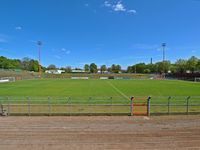 since its opening the stadium hasn’t changed that much. 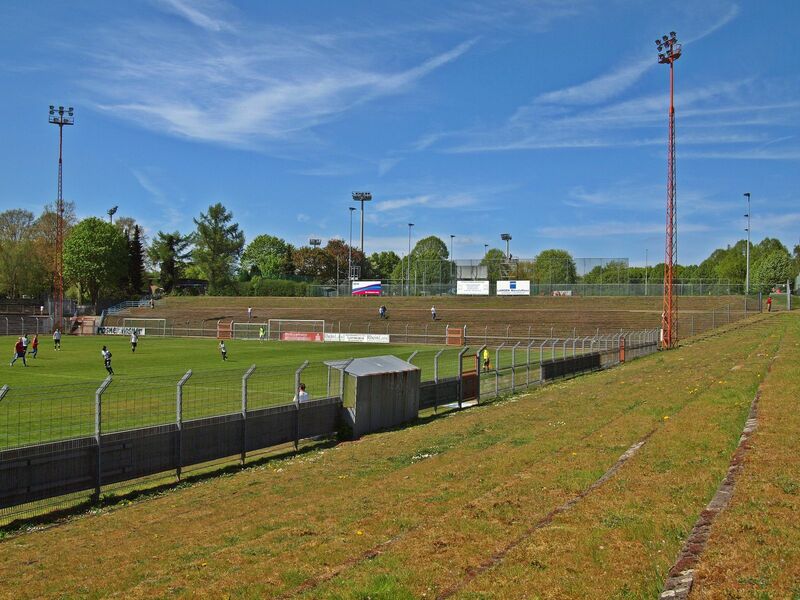 It received floodlight masts and in 1990s a scoreboard from Borussia’s previous stadium. 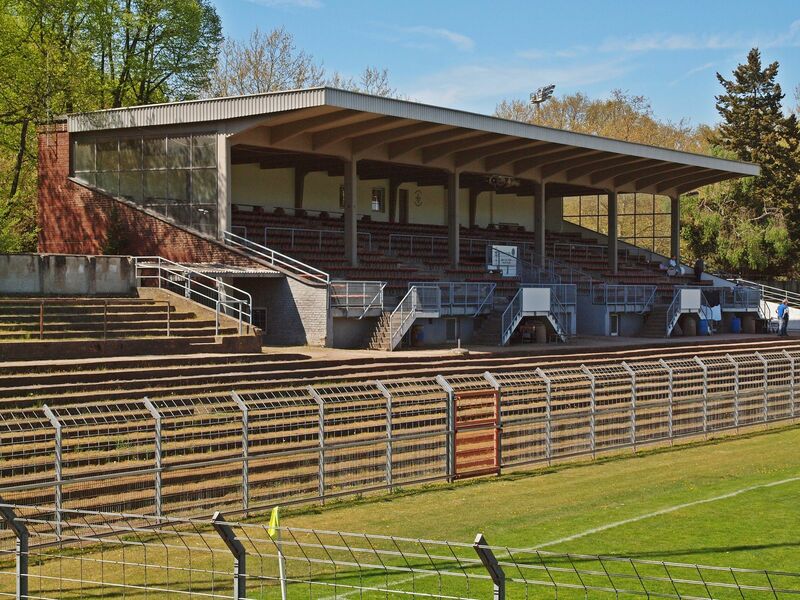 The stands have been said to hold even 40,000 at peak, but currently wouldn’t accommodate more than 20,000 people. 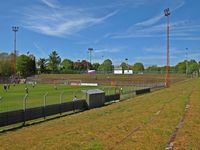 This of course isn’t the case for RSV games, but the stands covered with grass provide a ‘picnic-friendly’ atmosphere in spring and summer.